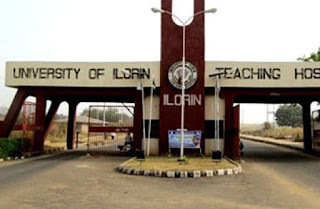 University of Ilorin Teaching Hospital (UITH) School of Post-Basic Accident and Emergency / Pediatric Nursing Programmes Four  Weeks Refresher Course Admission Form, Requirements and Application Guidelines for 2019. Applications are invited from suitably qualified candidates into the refresher course for the above named Nursing programmes. 1. Must have a specialty nursing training in Accident and Emergency/Paediatrics in Accredited Post Basic Nursing Schools. 2. Have at least five years post qualification experience and yet to be registered with the Nursing and Midwifery Council of Nigeria. for foreign applicants. This is made payable through Remita with University of Ilorin Teaching Hospital, (UITH) Ilorin. Teaching Hospital, P.M.B. 1459, Ilorin on or before February, 30th 2019.